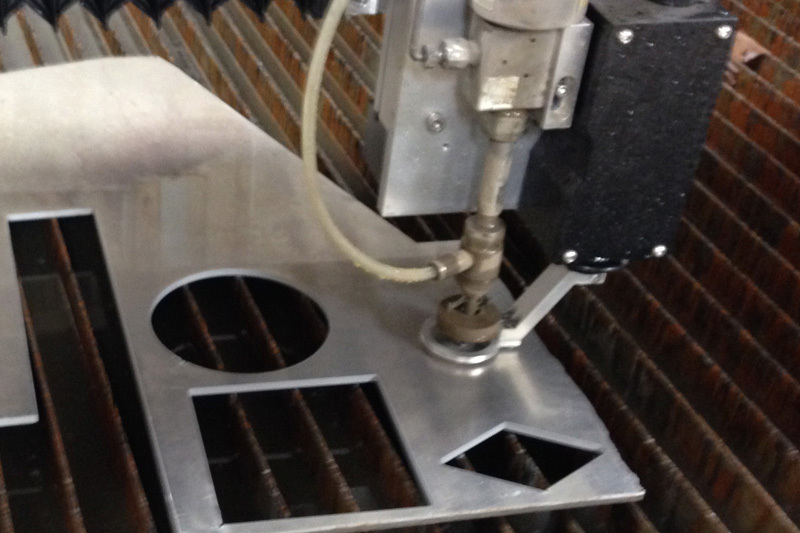 At Peifer Waterjet Cutting, we utilize an abrasive waterjet cutting system to provide precise and efficient cutting of metal and non-metallic materials. We can cut large components, small precision parts and prototypes with exceptional edge quality within a +/- 0.005 in. accuracy. 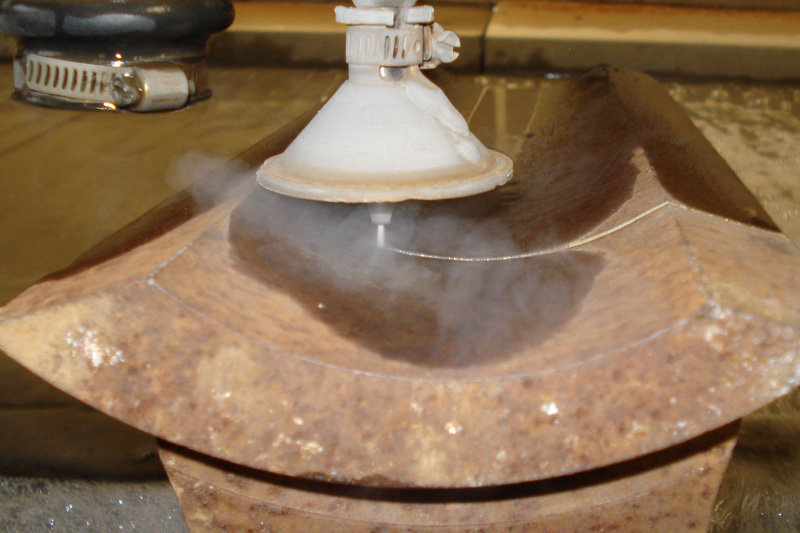 Abrasive waterjet cutting is environmentally friendly. It uses garnet as an abrasive; no noxious gases or liquids are used. The water used for cutting is filtered and reused. Unlike laser cutting, waterjet cutting does not use heat, so there is no thermal distortion or degradation of materials. 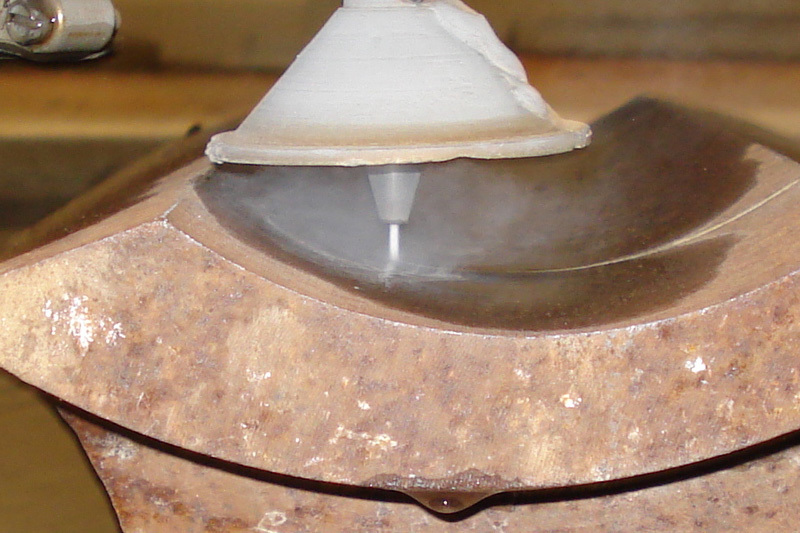 It also requires no special tooling or time-consuming setup, so turnaround times are faster. We utilize AutoCAD based data (.dwg & .dxf) to generate cutting paths, but we can accept other file formats as well as sketches, prints, CAD data and samle parts. 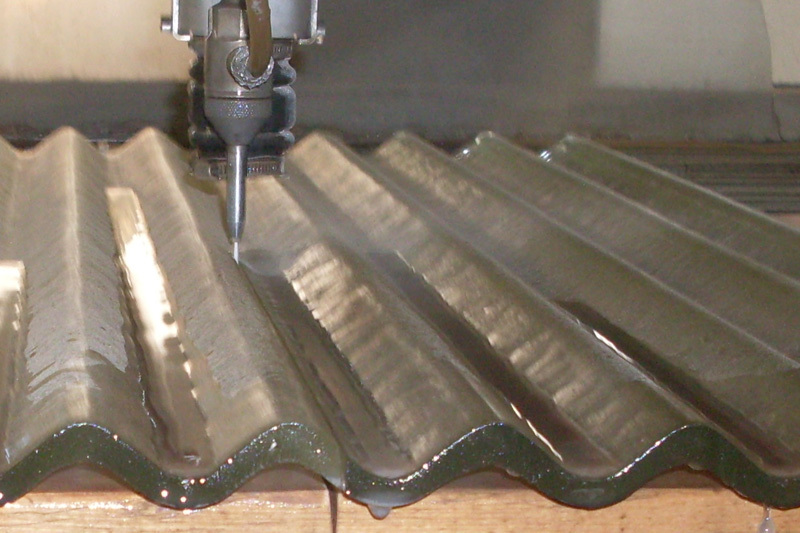 With our CNC programmable system, we can maximize material usage with part interspacing and nesting.